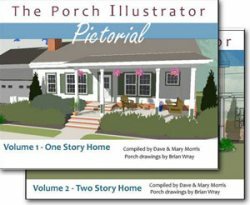 We love sharing how you can update your porch easily and inexpensively, whether they are seasonal updates like our autumn porch tour, or general porch updates like replacing a porch light or hanging a clock on your porch . 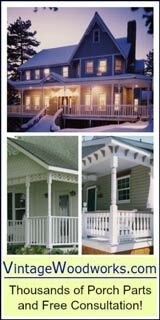 Easy porch updates will add curb appeal to your home and also lift your spirits and make you smile every time you enter your home. 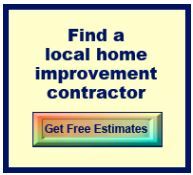 And that's always worth a little do-it-yourself time, isn't it? 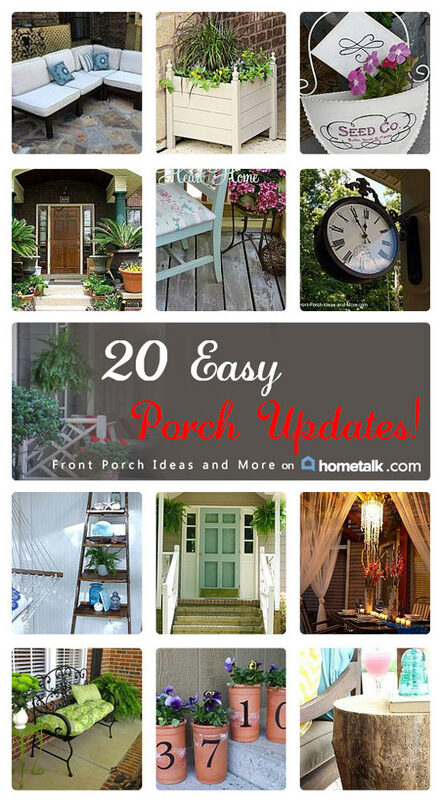 So we were pretty excited when HomeTalk approached us to curate a board full of Easy Porch Updates that are quick, inexpensive, and perfect for do-it-yourselfers. And you know what? 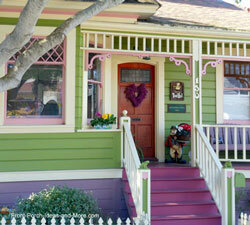 It was so hard to choose only twenty as there are so many great ideas on HomeTalk. 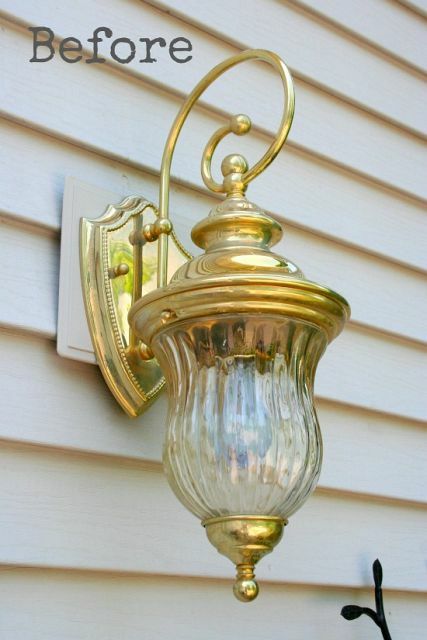 It really is easy to create clipboards on HomeTalk and it's a great way to remember all the terrific things you find there. 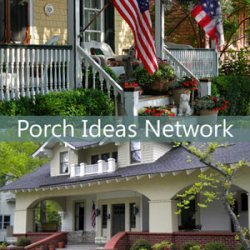 Dave and I have boards for seasonal porch ideas, decorating porches, landscaping ideas and more. 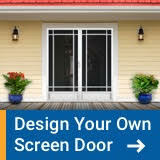 (You can follow all our clipboards here). 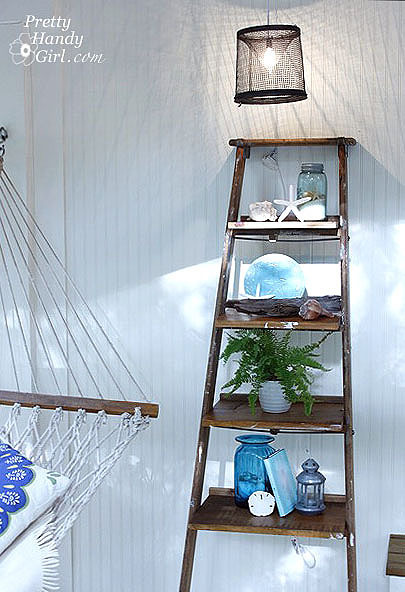 We love this shelf created from an old ladder that was included in Brittany's DIY screened porch makeover (thanks to PrettyHandyGirl.com). 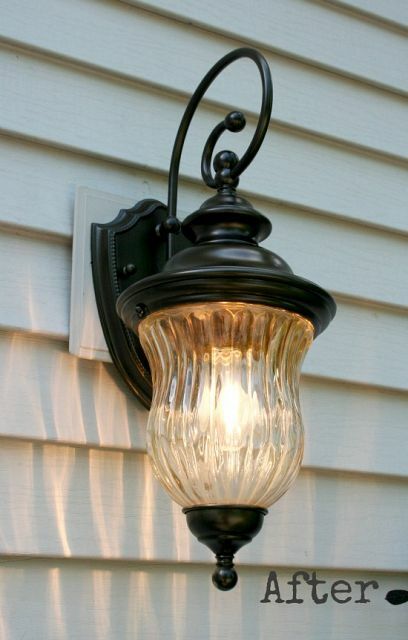 Use paint to update old outdoor lights. 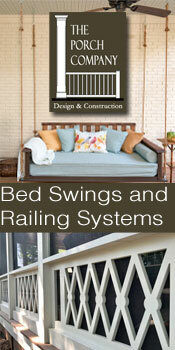 It's a fabulous way to use what you already have thanks to MissionDecorate.com. 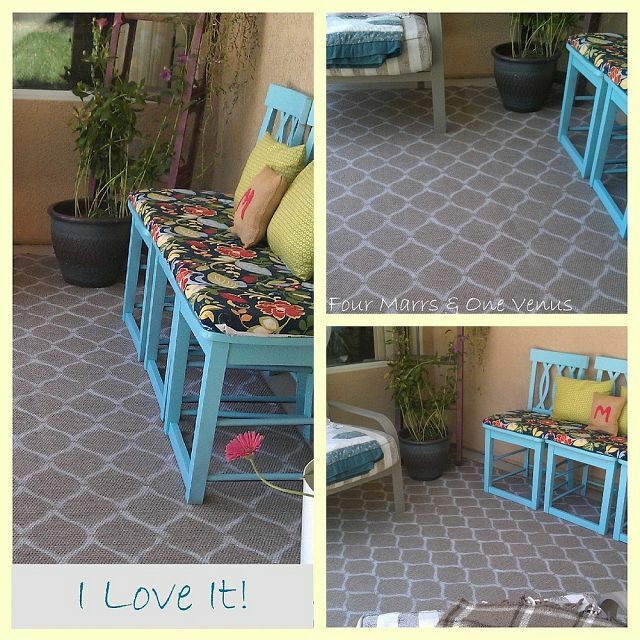 Adding a rug to your porch immediately makes it a room and personalizing a rug with an easy-to-do stencil project is brilliant. 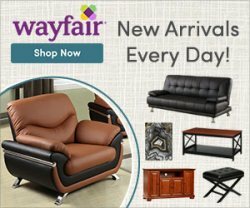 Thanks to FourMarrsOneVenus.com. 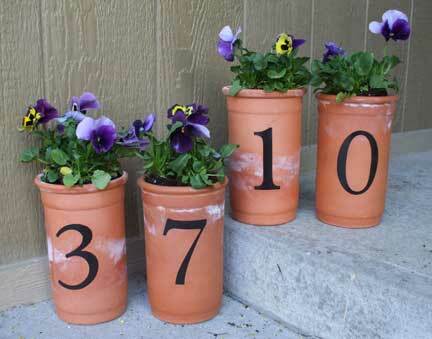 Pots and porches go together like peanut butter and jelly, so creating fun house-numbered pots for seasonal flowers and greenery is a classic (and super simple!) 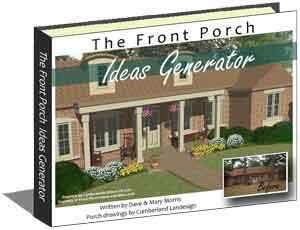 way to update your porch.